AFTER having produced over 130 films in his 15-year career in the local film industry, David Teo wants to spread his wings overseas. “I do not want to be a jaguh kampung any more,” says Teo, 51. Teo, who is also the chief executive officer of MIG Pictures, hopes to set up a production house under MIG Pictures in Beijing by the end of this year. “This dream of penetrating the Chinese film industry has been playing in my mind since last year,” he says. Once his production house is ready, Teo will immediately start producing movies with Chinese directors and actors. He adds that he will be bringing in a crew of Malaysians to work alongside the Chinese behind the scenes. 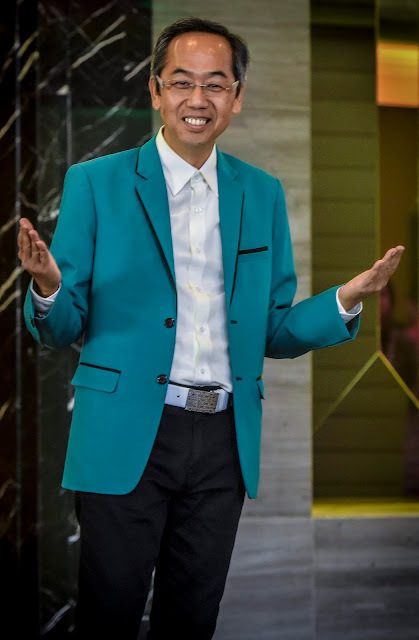 Teo is looking into ways to help Malaysian talents get a foothold in China as well by putting them into supporting roles in the movies he will be producting. 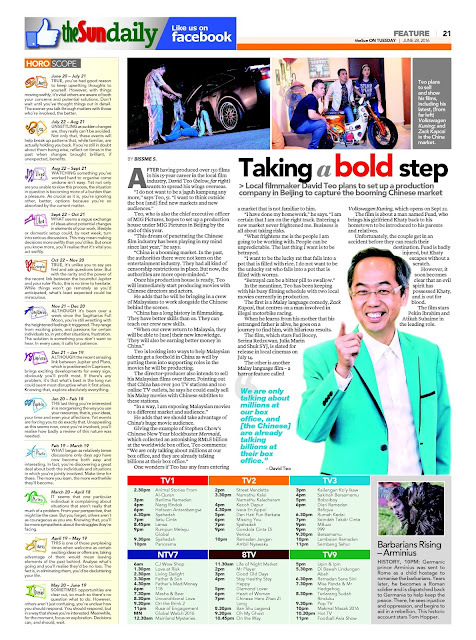 The director-producer also intends to sell his Malaysian films over there. Pointing out that China has over 300 TV stations and 100 online TV outlets, he says he could easily sell his Malay movies with Chinese subtitles to these stations. One wonders if Teo has any fears entering a market that is not familiar to him. “I have done my homework,” he says. “I am certain that I am on the right track. Entering a new market never frightened me. Business is all about taking risks. What frightens me is the people I am going to be working with. People can be unpredictable. The last thing I want is to be betrayed. In the meantime, Teo has been keeping with his busy filming schedule with two local movies currently in production. The first is a Malay language comedy, Zack Kapcai, that centres on a man involved in illegal motorbike racing. When he learns from his mother that his estranged father is alive, he goes on a journey to find him, with hilarious results. The film, which stars Fad Bocey, Serina Redzuwan, Julia Marin and Shuk SYJ, is slated for release in local cinemas on July 14. The other is another Malay language film – a horror feature called Volkswagen Kuning, which opens on Sept 22. The film is about a man named Fuad, who brings his girlfriend Khaty back to his hometown to be introduced to his parents and relatives. Unfortunately, the couple get in an accident before they can reach their destination. Fuad is badly injured, but Khaty escapes without a scratch. However, it soon becomes clear that an evil spirit has possessed Khaty, and is out for blood. The film stars Pekin Ibrahim and Atikah Suhaime in the leading role.